Mikey is Giving An Autographed Copy To 2 winners! This contest is OPEN TO ALL BLOGGERS ONLY. This idea has come from a viewer and we are going to give it a try. This contest is open world wide and shipping will be paid by Mikey. Click The Link http://www.mikeyssmail.com/Contests.html to get a copy of the DVD COVER. Save the cover to your computer so you can upload it to your blog. Go To Your Blog and Write in Your Own Blog Why You Would Like This DVD from me. Tell us what you would do with your DVD. Insert the picture of the DVD Cover with your blog. Mikey is going to post the LINK TO YOUR BLOG on his website for other viewers to go read your blog entry. Viewers will decide whose blog entry is the best. So be creative, have fun, and don’t write a novel. This is an opportunity for you to generate reader traffic to your online blog. So even if you don’t win the DVD, you are showing other viewers your own blog space. This contest closes in Less than 2 Weeks, on June 21, 2010. The Winners will be announced on The Diva Dan and Mikey Show on Monday’s Live To Air Broadcast. Get Blogging and Michael will keep updating the website with your links when you start submitting them. The picture of the DVD is on the same page as the contest entry for the Free Yarn, so you can enter that at the same time. 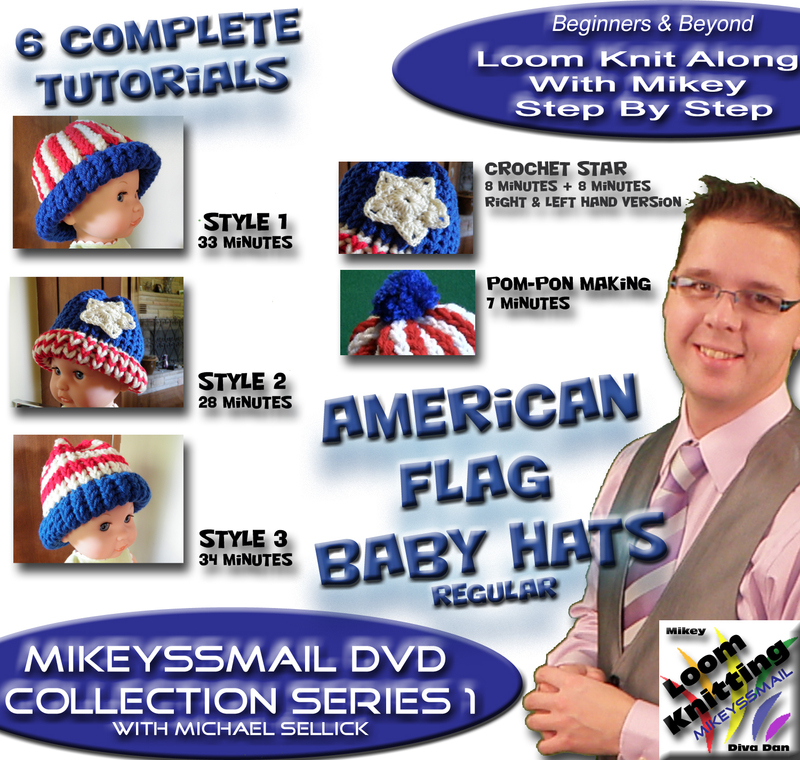 This entry was posted in Announcements and tagged American, Baby, DVD, Free Yarn, Giveaway, Hats, Knitting, Loom, Mikey, Once Completed, TheCrochetCrowd, Tutorial. Bookmark the permalink.